The following men and women have achieved enormous success in their chosen fields. Their life surely will be a source of inspiration for generations to come. Here is the list - displayed alphabetically. Dr. APJ Abdul Kalam, specialized in Aeronautical Engineering from Madras Institute of Technology. He was the 11th President of India, serving from 2002 to 2007. A notable scientist and engineer, he is often referred to as the 'Missile Man of India' for his work and is considered a progressive mentor, innovator and visionary in India. He is also popularly known as the People's President. Dr. Abdul Kalam received India's highest civilian award, the Bharat Ratna, in 1997. He is a recipient of several other awards and Fellow of many professional institutions. He strongly advocates an action plan to develop India into a knowledge superpower and into a developed nation by the year 2020. 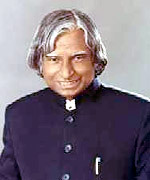 It is felicitous for each and every proud Indian to pay rich tribute to Dr.A.P.J. Abdul Kalam, the humble 'President of the Masses'. 'A visionary with a missionary zeal' - Dr. B.S.Abdur Rahman, fondly known as 'Sena Aana', born in a backward minority community at Kilakarai in Ramanathapuram district. He started his career only with his unlimited faith in hard work and untiring self-confidence. He founded ETA-ASCON Group of companies headquartered at Dubai. His friendliness and courtesy towards people of other religious communities is laudable. He is a multi-faceted personlity. He founded several Educational Institutions, social and welfare organisations which have benefited thousands of young men and women in obtaining the highest level of education and become responsible citizens of India and ambassadors of goodwill abroad. Mr.Azim H. Premji is the Chairman & CEO of Wipro Technologies, which today is one of the largest software companies in India. He transformed his father's vegetable oil products company into an IT giant over the last 27 years. 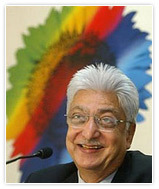 Mr.Azim Premji received many honors and accolades. In 2011, the Government of India conferred upon him the Padma Vibhushan, the second highest civilian awards in the country. He established the Azim Premji Foundation, a not-for-profit organization with a Vision of significantly contributing to quality primary education for every child, in order to build a just, equitable and humane society. This shows his humility and responsibility to the society and nation. Ms.Kalpana Chawla was an Indian-born American astronaut and space shuttle mission specialist. She came from a middle class family in Karnal, Haryana State, India. On her first mission Kalpana Chawla travelled over 10.4 million miles in 252 orbits of the earth, logging more than 360 hours in space. she always said, "I was not born for one corner, the whole world is my native land." 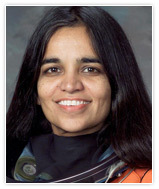 Dr. Kalpana Chawla was awarded the Pravasi Bharatiya Samman Award in 2004. The first woman to join the Indian Police Service in 1972. 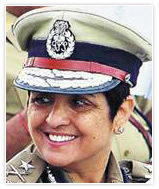 Ms.Kiran Bedi, I.P.S is one of the most celebrated and widely known police officer. Her humane and fearless approach has contributed greatly to innumerable innovative policing and prison reforms. She has experience of interacting with police personnel from different parts of the world. Dr.Kiran Bedi was awarded the 1994 Ramon Magsaysay for Government Service and her other honours include the President�s Gallantry Award in 1979. She was Police Advisor in the United Nations peacekeeping department, and has also been honored with the UN medal for outstanding service. Her personal website is www.kiranbedi.com. Dr. Mayil Vahanan Natarajan is an Orthopaedic surgeon par excellence, recognized for his pioneering role in establishing Orthopaedic Oncology as a subspeciality in Orthopaedic Surgery in India. 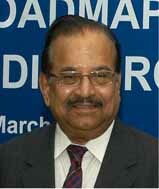 He is currently Vice-Chancellor of The Tamilnadu Dr.M.G.R. Medical University, Chennai. Prof. Mayil Vahanan Natarajan has revolutionized the treatment of patients with bone cancer by introducing the technology of Custom Mega Prosthesis in Bone Tumours in Tamil Nadu as early as 1988. He was instrumental in establishing a Bone Bank in the Government General Hospital, Chennai which is the first of its kind in India to cater to the need of bone cancer and orthopaedic patients. Dr. Mayil Vahanan is the recipient of many awards and honours. 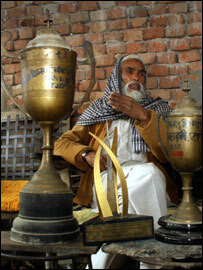 These include Dr.B.C.Roy National Award and Padma Shri Award. He is, without doubt, a man of ideas. Mr. Mohammed Saidullah grew up in Motihari district, Bihar. Though not well educated, it was soon clear that he loved to innovate. And here's a list of his inventions - an amphibious cycle, a mini tractor, a key operated table fan, a fodder cutteroperated mini water pump, a spring loaded cycle . But it was his amphibious cycle that got him international fame and which he designed after a flood, in 1975, in Champaran. In 2005, former President A.P.J. Abdul Kalam presented him with the National Innovation Foundation's (NIF) lifetime achievement award. In the same year, he was selected as one of the 12 finalists for the Wall Street Journal Asian Innovation Awards. Mr.Moosa Raza, a triple gold medalist from the University of Madras joined the IAS in 1960 and served a long stint in Gujarat before being selected by late Shri Rajiv Gandhi, for heading the Jammu and Kashmir administration as Chief Secretary. 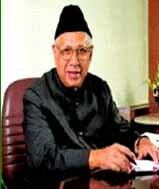 He put in 35 years of long service before retiring in 1995 as Secretary to Government of India. During his service he had served as the Principal Secretary to the Chief Minister of the State of Gujarat, Chief Secretary of the State of Jammu & Kashmir and Advisor to the Governor of Uttar Pradesh. A linguist, poet and Urdu scholar, he has been closely associated with the India Islamic Cultural Centre, New Delhi. 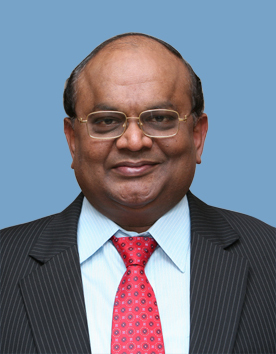 He is also the Chairman of the SIET Trust,Chennai. He was awarded the Padma Bhushan, a third highest civilian award by the Government of India. Infosys Technologies Chief Mentor Mr.N.R.Narayana Murthy today opined that innovation cannot be achieved unless an organisation created a pluralistic, intellectually curious and competitive environment. 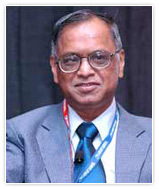 He founded Infosys in 1981 along with six other software professionals and served as the CEO for 20 years. Infosys is one of the country's biggest IT firms. Murthy's ability to inspire a generation of young Indians has also made him one of the most admired global business leaders. He was awarded the Padma Vibhushan, a second highest civilian award by the Government of India. A Doctor by profession. 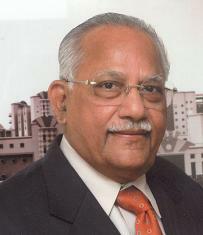 Dr. Prathap C. Reddy, is the founder of the Apollo Hospitals in Chennai in 1983. India�s first corporate hospitals group. He revolutionized the whole health care scenario of India and inspired others to follow the same. Dr Reddy is now spreading Apollo Hospitals Group to other parts of Asia. He was awarded Padma Bhushan in 1991 by the Government of India. He also received the second highest accolade in the Indian civilian awards, the Padma Vibhushan in 2010. His slogan is India Has The Potential To Heal The World. whatever he sets up as the standard, that the world follows.